With a laptop thief on the loose and few leads at their disposal, investigators in Santa Clara County, which includes Palo Alto, were discouraged when they discovered no surveillance footage existed of the bedroom; footage which could provide crucial clues to identifying their thief. A California state judge issued a warrant ordering the victim’s landlord to share with authorities any video surveillance that could potentially solve the crime. The landlord replied, in essence, that they could not — because they did not record video of their tenants nor their tenants’ children sleeping peacefully in their beds. The theft remains unsolved. The thief remains at large. Until very recently, this situation would not have occurred. Over 3 years ago, curtains were invented, which provided "full-window protection". No longer could people be observed sleeping in their bedrooms from the street. However, homebuilders generally opted to not build bedrooms with an internet-connected video camera, which government agencies would only access under a court order. Locked under a “secure golden key”, the 24 hour feed of your sleeping and sexual habits would only be visible to the proper authorities under the proper supervisions of a court of law. Yet homebuilders have been unwilling to develop the necessary technology to safely deploy remote surveillance cameras into every bedroom in America. According to a leading homebuilder: "In houses with curtains installed, we can't see into people's bedrooms. In response to government warrants, we can't provide any video surveillance of people sleeping comfortably in their beds, which we do not possess." Now, on behalf of crime victims the world over, we are asking whether these curtains are truly worth the cost. Between October and June, bedrooms of over 5000 crime victims lacked even minimal video surveillance — despite judicial warrants to turn over any video surveillance. Curtains significantly limit our capacity to investigate these crimes and severely undermines our efficiency in the fight against terrorism. Why should we permit criminal activity to thrive behind drawn curtains, unavailable to law enforcement? To investigate these cases without bedroom video surveillance is to proceed with one hand tied behind our backs. 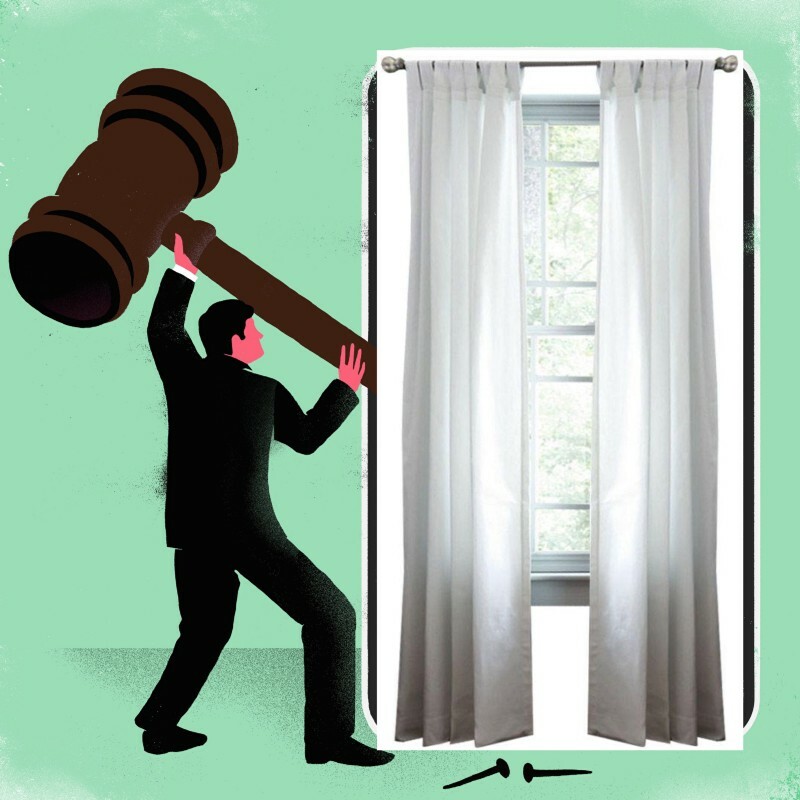 The bedroom curtain policies of homebuilders have made it harder to protect people from crime. We support the privacy rights of individuals. But in the absence of cooperation from homebuilders, regulators and lawmakers in our nations must now find an appropriate balance between the marginal benefits of curtains and the need for local law enforcement to solve and prosecute crimes. The safety of our communities depends on it.